When it comes to maintaining a clean parking lot, your best bet is to reach out to the experts. Since 1958 Universal Site Services has been sweeping parking lots and keeping our clients’ property clean. Universal Site Services goes above and beyond basic parking lot sweeping in Fremont. Whether your business is in the Centerville District, or the Mission San Jose District, we provide all businesses of Fremont parking lot sweeping services keep their businesses clean. When Universal Site Services commits to a parking lot sweeping job, we know that our state-of-the-art equipment will remove all unwanted debris in your parking area. The trash, oil, dirt, and sand that finds its way into your parking lot will soon be a thing of the past. 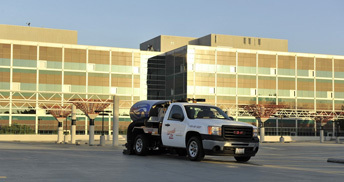 If you are responsible for maintaining any parking lot in Fremont, you should know that Universal Site Services will not only provide regular sweeping services, but can also be reached 24 hours a day for any emergency parking lot cleanup. We are dedicated to doing everything we can to keep customers focused on your great business, instead of distracted by a poorly maintained parking lot. Our equipment is guaranteed to have a minimal impact on the environment. 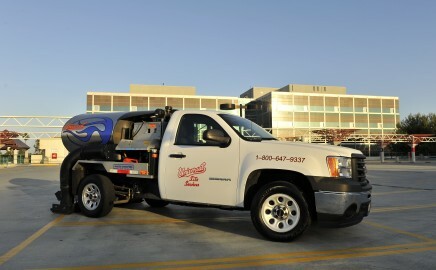 By using fuel-efficient vehicles & non-pollutant vacuum sweepers, we do our best to keep more than just the ground clean. When we complete a Fremont parking lot sweeping job, we actually reduce the amount of toxic pollutants that would have entered water systems through storm water runoff. Our sweeping equipment even has regenerative air systems, which keeps dirty air from re-entering the environment! Home to Tesla manufacturing, Mission Peak, and Lake Elizabeth, Fremont residents care about keeping their community beautiful; so we do everything we can to ensure our parking lot sweeping service is run as clean as possible. Although Universal Site Services is best known for our parking lot sweeping services, we also provide all types of property maintenance services. Many of our customers are trying to impress their customers by pressure washing, day porter services, and landscaping services. We even do graffiti removal in Fremont. We know that every property requires a lot of upkeep, so we provide all types of property maintenance services. Have something in mind that we have not listed? Ask us about it! We will do everything we can to help!